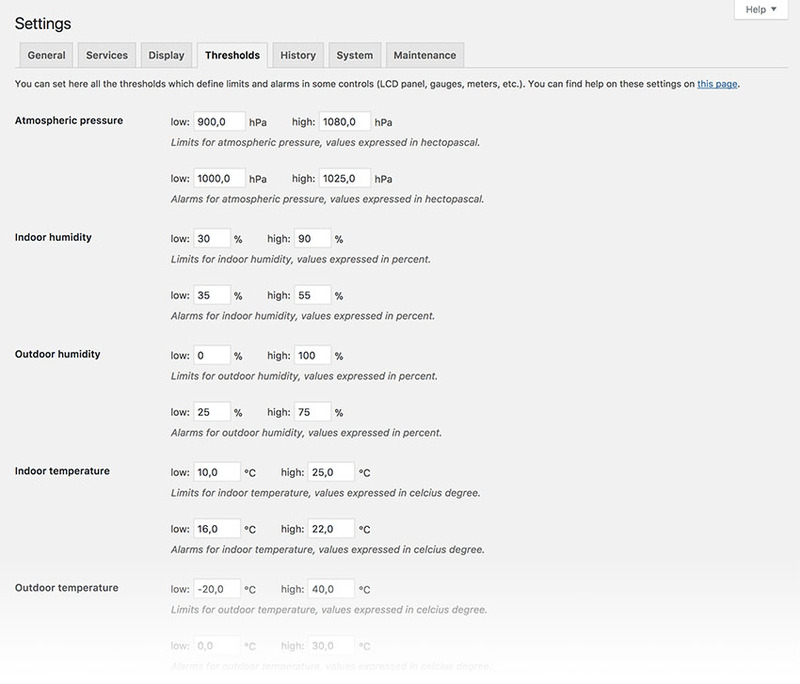 The thresholds settings tab allows you to adjust the gauge boundaries and the min/max alarms for each type of measurement. This tab is visible only if Weather Station runs in extended mode. For each type of measurement you can set the lower and upper limit of the range (the gauge boundaries) displayed by a control. The value of these limits are expressed in the unit you have set in the display settings tab. For each type of measurement you can set the low and high value for alarm displayed by controls. The value of these limits are expressed in the unit you have set in the display settings tab. Note that each type of control have its own ability and method to show alarms. Some controls (like clean gauges) can not show alarms. Receive the latest news and updates from Weather Station.